New generation CITY MATT™ fluid foundations have excellent smoothing and mattifying properties. The foundations contain a unique Nylon 12 formula which makes the skin silky and perfectly matte. They also contain microsponges which absorb excess sebum. Vitamins E and C improve skin’s overall condition and help keep a youthful appearance. 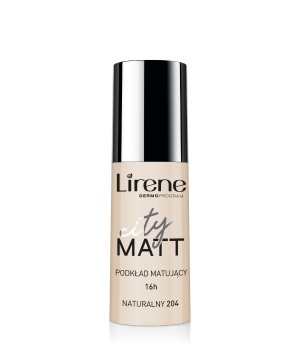 New generation CITY MATT™ fluid foundations have excellent smoothing and mattifying properties.